Please download and complete a Booking Form in Word or pdf and email or post it back to us with your payment. A weekend of talks, book signings, Q&A sessions, writing workshops, food & drink, writing competition and Movie Night entertainment! Join us in the picturesque, coastal village of Cromarty for a weekend to remember. With guest authors, actors and experts...see below for individual events. A reminder - you can book individual elements of the event OR make a weekend of it and go for the Residential Package - a fantastic way to mingle with like-minded people and soak up everything that our rather special town of Cromarty has to offer. As part of this year's Crime & Thrillers Weekend, we're launching a brand new short story writing competition, open to all. The genre is - obviously - crime and thrillers and the compulsory story title is 'The One Hundred Steps' (after the beautiful and legendary Cromarty walk up the South Sutor). Make of that what you will! There are two categories: under 18 (1000 words) and 18+ years (2000 words) and the deadline for submissions is midnight on 7th April. Entries will be judged anonymously with a winner and runner-up in both categories and prizes awarded by Ian Rankin at our end of weekend session on Sunday 5th May. For full details, terms and conditions and an entry form, download here in Word or as a pdf. This is a great opportunity to try your hand at crafting a short story in a genre that gives plenty of scope to let your imagination run wild! Good luck! 'In A House Of Lies - Keeping A Series Fresh After 30 Years' Surely he needs no introduction! 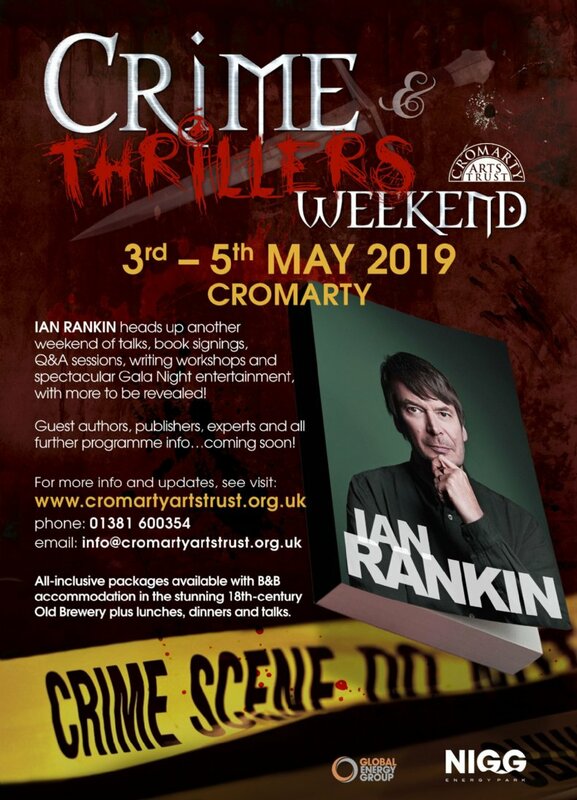 But if you do wish to learn more about the rather successful and prolific crime writer (and part-time Cromarty resident), Ian Rankin's website gives you all the info. In this talk, Ian will describe how Rebus is kept alive (not literally!) and how Ian finds new challenges and ways to engage the devotees of his most famous character. Since 1987 there have been 22 Rebus novels usually set in or around Edinburgh, with the protagonist, Det Insp John Rebus, challenged to solve a crime or series of crimes centred around a gritty, often stark view of Scotland. Tartan Noir at its finest. Spotlight Author Slot - short reading & book signing from... Writer Vee Walker, a weel-kent face in the Black Isle for her community work, has developed an unique writing style which draws strongly on her own unusual family history as a source. Her 1810 Cookbook, published in 2011, took images from a family recipe book and combined them with snippets of family history. It was in those fragments of history/creative writing that Vee unexpectedly began to find her voice as a writer of fiction, as she found herself getting ‘sucked in’ by the stories of her own gluttonous ancestors. Major Tom’s War, her debut novel, was published in London by the niche India-interest publishers Kashi House in September 2018 – also its own first foray out of non-fiction. Inspired by her Indian Cavalry Officer grandfather’s war diary and the lives of her grandparents during the First World War, Major Tom’s War has been well-received thus far by reviewers and public alike and has had extensive media coverage, including a live Armistice 100 broadcast from France for BBC Radio 4’s Saturday Live on 10th November 2018. The first edition is selling well and there are now plans for a revised second edition aimed at readers in India and a French edition (translation nearing completion) next year. She has also worked with the creative team at Plexus Media in Cromarty to develop a digitised version of the original archive documents which inspired her remarkable novel as a companion website. This can be explored at www.majortomswar.com. Readers will even find a bonus chapter there – Chapter 9 ½ - which did not quite make the novel! Vee does not yet have an agent and is not quite sure how she has got this far without one - but puts it down to luck, fate and obstinacy. She reckons she has at least another two novels in this unusual genre up her sleeve. £15 Reserve your ticket by email, tel 01381 600354 or complete and return this form. 'Viruses, Villains And A Very Special Museum' Lesley Kelly has worked in the public and voluntary sectors for the past twenty years, dabbling in poetry and stand-up comedy along the way. She has won a number of writing competitions, including The Scotsman's Short Story award in 2008. Her first novel, A Fine House in Trinity, was published by Sandstone Press in 2016, and was longlisted for the William McIlvanney Prize. ​Her subsequent novels, The Health of Strangers and Songs by Dead Girls explore crime and misdeeds in an Edinburgh beset by a mystery Virus.​ ​She lives in Edinburgh with her husband and two sons. Lesley will be signing books following her talk. www.lesleykelly.co.uk £15 Reserve your ticket by email, tel 01381 600354 or complete and return this form. 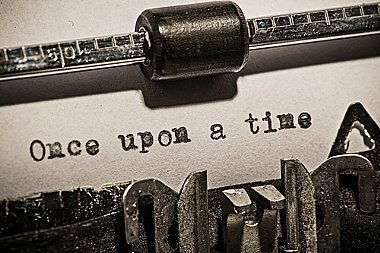 'Commercial Fiction In 2019: Advice On Writing, Getting Published & Being Successful In The Modern Market' - Intro about what’s going on - what’s hot and what’s not. - A workshop on the material that the participants have sent in, in that context. - Practical methodology to go from manuscript to publishing deal. - What to do when you get a deal. Please note: participants will be asked to email us 20 pages plus a one-page synopsis at least one week in advance of the workshop. £30 Book your ticket by email, tel 01381 600354 or complete and return this form. Jon Wood has worked in UK publishing for over twenty years. Starting out in Sales at Hodder and Stoughton in 1994, he moved over to become a Crime/Thriller editor in 1998. He then joined Orion in 2000 where worked with authors such as Kate Mosse, Harlan Coben, Robert Crais, Joanne Harris, Michelle Paver, Andy McNab and Julian Fellowes. He started working with a certain Ian Rankin in 2003! At times he has run both the Orion Fiction and Gollancz imprints and then became Group Publisher of Orion in 2015. In 2018, he left Orion to become a literary agent at Rogers, Coleridge and White. He is now looking to build a list. 'Killing Outside My Comfort Zone - Long Ago & Far Away And Places I've Never Been' Shona talks about the challenges and perks of writing and researching Historical Crime Fiction. Shona (S.G.) MacLean was born in Inverness and brought up in the Scottish Highlands. She is the niece of adventure novelist Alistair MacLean. She obtained an MA and PH.D. in History from Aberdeen University. She began to write fiction while bringing up her four children (and Labrador) on the Banffshire coast. She has now returned to live in the Highlands, where her husband is a head teacher. 'The Redemption of Alexander Seaton' was short-listed for both the Saltire first book award and the CWA Historical Dagger; 'The Seeker' was winner of the 2015 Historical Dagger. £15 Book your ticket by email, tel 01381 600354 or complete and return this form. Come along to the Victoria Hall in Cromarty to enjoy the classic thriller, 'Arsenic and Old Lace' as well as a fun, crime & thrillers-based visual quiz and a chance to win a signed book from each of the seven authors attending this year in our brilliant raffle! Complimentary cocktail and nibbles on arrival. BYOB £15 Book your ticket by email, tel 01381 600354 or complete and return this form. 'Fascinating Forensics' Lin Anderson is a novelist and screenwriter best known for her bestselling series featuring forensic scientist Dr Rhona MacLeod of which there are thirteen novels, four of which have been long listed for the Scottish Crime Book of the Year, with Follow the Dead being a 2018 finalist. Lin is co-founder of the international crime writing festival Bloody Scotland which takes place annually in Stirling, Scotland, mid September. http://lin-anderson.blogspot.com/ Spotlight Author Slot - short reading & book signing from... Neil Lancaster was born in Liverpool in 1966 but was raised in Kent. He joined the Military Police in 1983 where he served for six years, mostly abroad, on security and policing duties. In 1990 He joined the Metropolitan Police where he served for over twenty-five years, predominantly as a detective. He led and conducted investigations into the most serious of criminals across the UK and beyond. He was a surveillance and covert policing specialist using all types of techniques to arrest and prosecute drug dealers, human traffickers, fraudsters, and murderers. This included conventional and technical surveillance, using informants, and undercover deployments. He also successfully prosecuted wealthy and corrupt members of the legal profession involved in organised immigration crime. These prosecutions led to multi-million asset confiscations and disbarments. He retired in 2015 and, seeking the good life, relocated to The Black Isle in Scotland where he currently lives with his wife Clare, 8-year-old son, Ollie and Peggy the Cockapoo. He works (sometimes) as a freelance investigator but mostly writes crime (when not procrastinating, staring at the view from his window.) His debut novel is inspired by personal experiences and is published by Burning Chair Publications. Going Dark introduces us to DS Tom Novak. Tom has a hard start in life in war-torn Bosnia and was forced to flee to the UK aged twelve after his father was murdered by paramilitaries at the start of the Balkan war. Following military service, he joins the police and later deploys undercover against a ruthless gang of people traffickers and a corrupt solicitor. His cover blown, he finds himself pursued by ruthless Serbian Mafia killers and corrupt police officers with infinite resources. Tom reaches out to a CIA agent whose life he saved in Iraq years ago. Suddenly, Tom has access to the resources of the biggest intelligence agency in the world and decides to stop hiding and start hunting. £15 Reserve your ticket by email, tel 01381 600354 or complete and return this form. Join us for a lively discussion with all our guest authors - Ian Rankin, Lin Anderson, Shona MacLean, Lesley Kelly and editor/publisher, Jon Wood and an opportunity for you to put any questions to them that haven't yet been aired. This is also your final opportunity to purchase any books and have them signed. Writing Competition - our inaugural short story writing competition will have been judged and the winners and runners-up in both categories, notified and primed ready to not only receive their prizes from Ian Rankin but also read, or have read out, their winning stories! Quite a moment for them in such esteemed company! £15 Reserve your ticket by email, tel 01381 600354 or complete and return this form. 'Good Guys, Bad Guys: Creating & Developing Engaging Characters' Join writer Shona MacLean for this writing workshop and the second workshop of the weekend. This workshoplooks at what makes a character work or not work. It will involve a choice of individual or paired exercises aimed at developing characters within a plot setting so that your reader’s interest is invested in what happens to them. £30 Book your ticket by email, tel 01381 600354 or complete and return this form. Shona (S.G.) MacLean was born in Inverness and brought up in the Scottish Highlands. She is the niece of adventure novelist Alistair MacLean. She obtained an MA and PH.D. in History from Aberdeen University. She began to write fiction while bringing up her four children (and Labrador) on the Banffshire coast. She has now returned to live in the Highlands, where her husband is a head teacher. 'The Redemption of Alexander Seaton' was short-listed for both the Saltire first book award and the CWA Historical Dagger; 'The Seeker' was winner of the 2015 Historical Dagger. 2014 Crime Weekend Clip 1 from Cromarty Arts Trust on Vimeo. 2014 Crime Weekend Clip 2 from Cromarty Arts Trust on Vimeo. 2014 Crime Weekend Clip 3 from Cromarty Arts Trust on Vimeo. 2014 Crime Weekend Clip 4 from Cromarty Arts Trust on Vimeo.